Welcome to the inaugural post of my anti-food waste travel guide! Spending Easter weekend in Copenhagen and getting a glimpse into Danish food culture has inspired me to start a new (non-continuous) series of posts highlighting countries and nations taking exemplary measures against food waste. With enough promotion and consumer support, good practices from anywhere in the world can stimulate change in other countries. Since food waste is a global problem, the fight against it requires global effort. This small Scandinavian kingdom was named the ‘European leader in the fight against food waste’ in 2015. In just five years, Denmark was able to reduce its domestic food waste by 25%, according to the Danish Agricultural & Food Council. This achievement was made possible through efforts by the state, NGOs, and private sector. 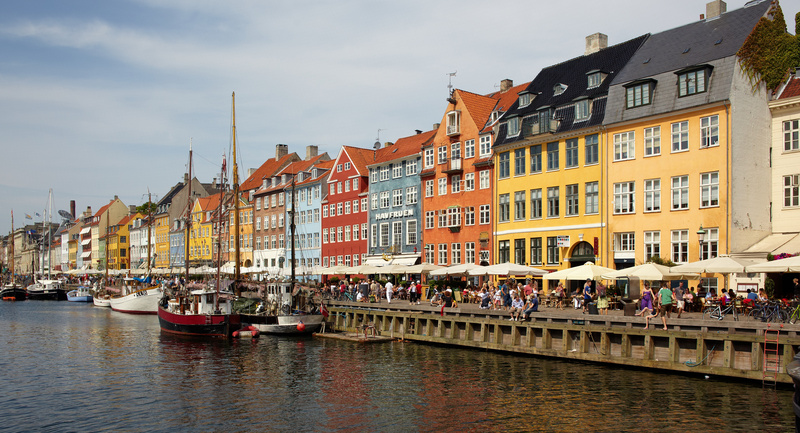 Like much of northern Europe, Denmark is strongly committed to recycling. Among the goals set in its 2013 plan ‘Denmark Without Waste – Recycle More, Incinerate Less,’ the government pledged to increase the amount of organic waste recycled from the service sector from 17% to 60% by 2018. Household waste, which includes 260,000 tons of food each year, was also targeted in the report so that at least half would be recycled annually by 2022. To complement these objectives, the country is going to continue to focus on biogas (derived from manure and food waste) as a clean alternative fuel source. Daka Refood, for instance, collects food waste from restaurants, supermarkets, schools, manufacturers, etc. to use directly in animal feed or to convert into biogas and, in the case of used cooking oil, biodiesel. In addition to preventing the CO2 emissions otherwise generated by incineration, biogasification allows nutrients like phosphorous from organic waste to be used in fertilizer. Another way the Danes encourage eco-friendly waste treatment is through bans and fines on landfilling. The European Environment Agency reported that in 2010 only 4% of Denmark’s waste ended up in landfills! 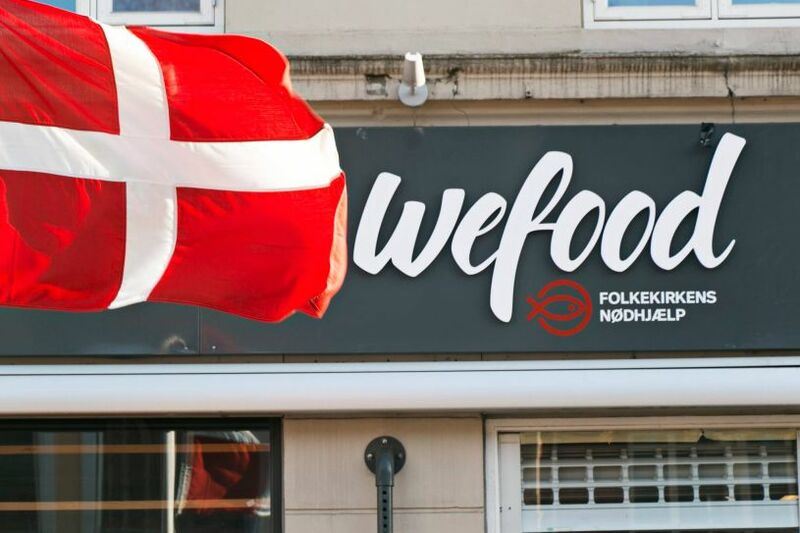 Arguably the most famous Danish food waste-fighting initiative, though, is WeFood, the new so-called social supermarket that deliberately sells products considered unsaleable by mainstream grocers. From ‘expired’ packaged goods to visually-imperfect produce, the perfectly edible food is being sold at discounted prices because it would otherwise be discarded. Naturally, this attracts low-income consumers, but NPR reported that most customers are actually shopping there to make a political statement against food industry wastefulness. A similar anti-food waste pioneer is Rub & Stub, the restaurant whose menu changes daily based on donated ingredients. The volunteer chefs design meals to use excess food from Food Bank Copenhagen, grocers, farmers, food cooperatives, and bakeries, which accounts for almost one third of the restaurant’s food supply. As in WeFood, the donations are totally safe to eat but have been rejected by mainstream food retail for mainly aesthetic reasons. Aside from word of mouth, locals as well as tourists in Denmark can find establishments like WeFood and Rub & Stub through YourLocal. The app was developed by two Copenhagen Business School students who wanted to create a platform to show people where they could find surplus food that would be destined for the dumpster. Grocery stores registered with the app simply indicate what products are nearing their sell-by dates and offer them at discounted prices. Released in May 2015, YourLocal has already reached more than 50,000 consumers, is collaborating with over 400 stores, and is spreading from its origin in Copenhagen to other Danish cities. 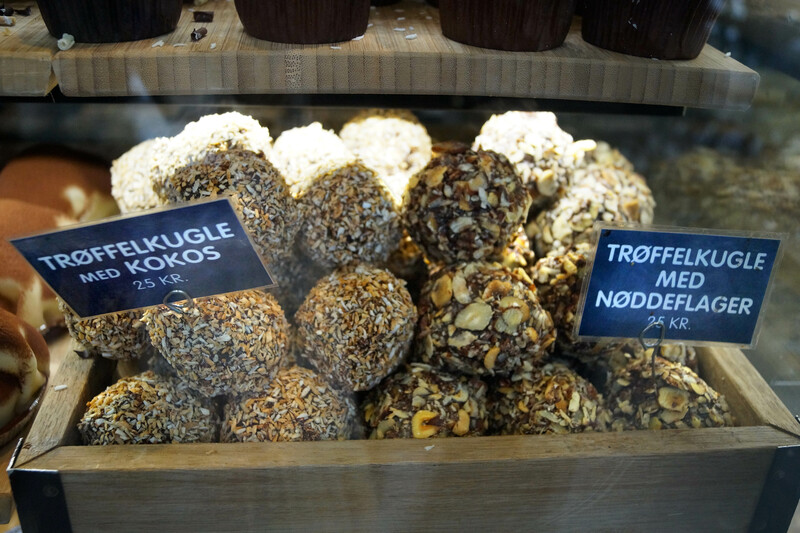 As a last fun fact, one of Denmark’s most popular desserts, romkugler aka rum truffles, originated as a way to use leftover baked goods! Bakers, concerned that their unsold breads, muffins, or cakes would start to taste stale, combined the leftovers with jam, rum, and chocolate into delicious little balls, typically rolled in chopped nuts or coconut. Check out an easy recipe here. Well done, Denmark! Sig nej madspild.